The hotel address was listed as 24th and M street. 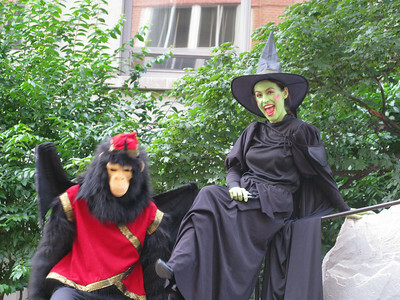 If it had been listed as "Somewhere along the Yellow- Brick Road," I may have reconsidered the decision to stay there. After the end of the meeting, a cab was due to arrive at the hotel. It was 20 min late. I checked with the concierge and there he said there is some "to do" today in the area. Thinking of Nathan's modus operandi, I grabbed a cam in my bag and went outside to investigate. 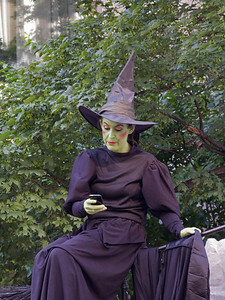 Lo and behold, there was the Wicked Witch of the West feverishly texting (?tweeting) on her Blackberry to her winged gremlins---"Abort the abduction of Dorothy, there is something curiously ASKEW." 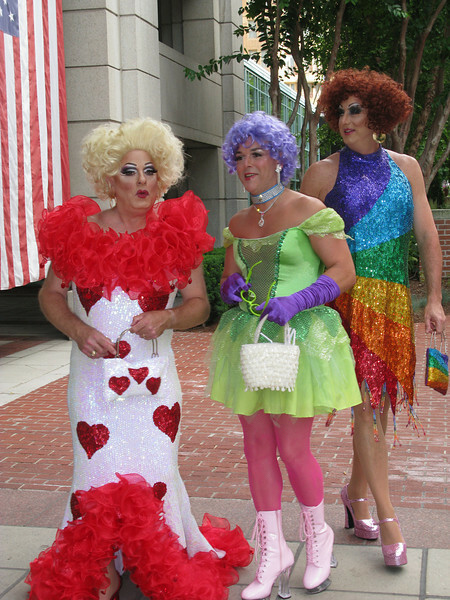 And this is why: Dorothy is on the left with the Ruby Slippers. And then I spotted the Tin Man. Few hearts to be had here. Perhaps he had consulted the Scarecrow before he got his brain. The place is infested with 6000 endocrinologists. The cardiothoracic surgeon meeting was 2 weeks ago. Note the people behind the Tin man. Clearly they use a different tailor than I. Anyway the cabbie finally made it and we exited OZ through some alleys and onto areas of Washington DC where only things that pass as normal were occuring. I did arrive in time to catch the plane home. Dorothy is on the left with the Ruby Slippers.